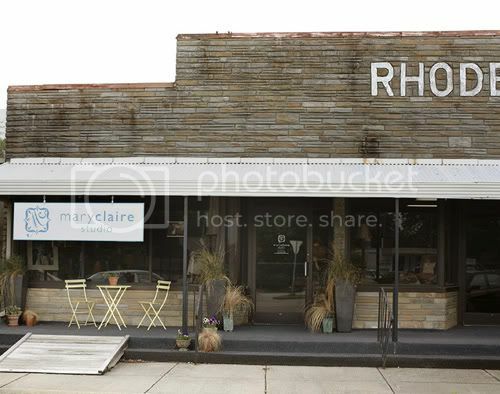 This summer I met a wonderfully talented photographer named Mary Claire Crow. She is a very cool chick and we immediately hit it off. The timing was perfect because she was looking to update her identity materials and I was looking for a wedding photographer. Tenn Hens was happy to oblige and it was a joy to work with a fellow creative. We started with a new logo and color palette. She wanted an elegant and serene look that complemented her artistic style. She mainly shoots weddings and children so it needed a sense of whimsy, while keeping the color palette crisp. 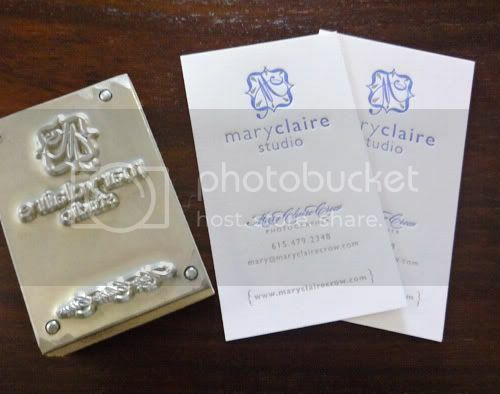 Mary fell in love with the vintage style of letterpress after seeing my invitations so we had die-cuts made of her stationary for the embossing process. 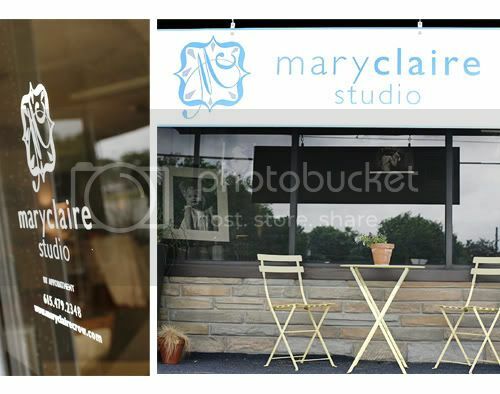 Finally, we created a sign for her cool studio space in Old Hickory.